I have been involved in the auto industry for over 25 years and witnessed many advancements over this time, including the relatively recent development of vehicles that run on electricity. There are two types of electric vehicles. One is a plug in hybrid electric vehicle (PHEV) that combines an electric motor with a combustion engine. The other option is a battery electric vehicle (BEV) which is solely powered by electricity (making it incredibly quiet). Both have been around for about eight years in Canada. I just bought my first full electric vehicle this past July. I have been following the alternative energy market for many years and have always wondered which would emerge as the mass produced “fuel” of choice, between bio-diesel, hydrogen, ethanol (which is corn based), and electricity. I now believe we will see a tremendous shift (especially in Ontario) towards PHEVs and BEVs. There are three main changes that have occurred primarily within the past 12 months that I think will trigger a great increase in the demand, especially for BEVs: improved battery technology, faster charging, and provincial involvement. Until recently most BEVs could travel less than 200 km on a single charge, with Tesla being the main (though much pricier) exception to this rule. The variety of BEV options has increased greatly of late with one car (Chevrolet Bolt) that can travel twice as far as most of its competitors — at a price under $50K. The all new 2018 Nissan Leaf was recently unveiled and will have a reported range of 241kms per charge. 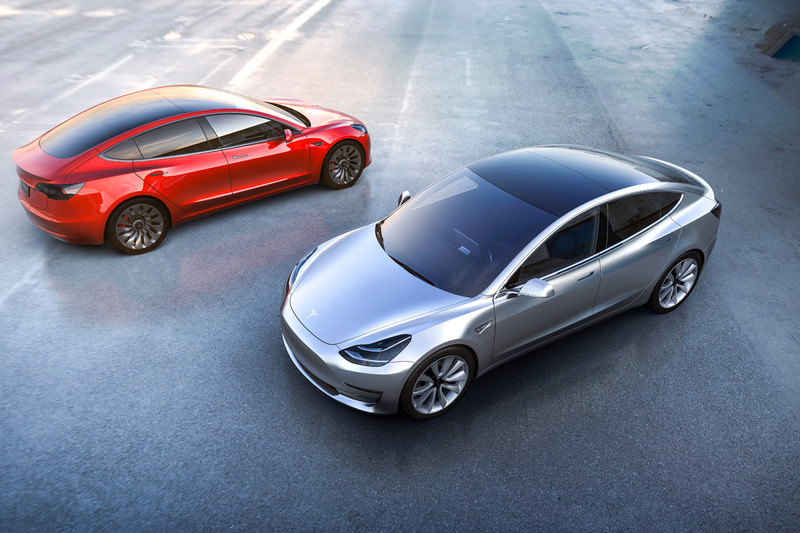 They have announced a more powerful version to be released in about a year with even greater range and I expect other manufacturers to not be far behind, including the much-anticipated (and more affordable) Tesla Model 3. Most PHEVs and BEVs have only had two options for charging until fairly recently: level 1 and level 2. A level 1 charge can be done with any regular 120V outlet (regular wall outlet) and will take up to approximately 24 hours. It is slow but at least you can charge your car just about anywhere. A level 2 charger is typically installed by many owners at their home and requires a special charger that runs off a 240V outlet (like a dryer outlet) and would take up to eight hours for a full charge. The big change with charging technology is the installation of level 3 rapid chargers, which can charge an empty battery to between 80% and 100% capacity in about 30 to 45 minutes. While this technology has existed for some time, they are only recently being installed for public use in many locations across Canada. These level 3 chargers typically only work on BEVs and not on PHEVs. This now makes it possible to do a road trip by simply using one of several apps available to plan your route around available level 3 chargers. This year, the Ontario government implemented major changes in their commitment to moving towards less reliance on fossil fuels. The Ontario Government has revised the Electric Vehicle Incentive Program (EVIP) so that an electric vehicle (PHEV or BEV) with a battery larger than 16 kW that can seat five or more passengers is eligible for a rebate of $14,000 (including tax). This is a significant increase from the previous rebate of $8500 and is the largest available in Canada. This rebate is often applied right at the dealership and is applicable even on leases. Rebates are also available on the purchase of a level 2 charger under the Electric Vehicle Charging Incentive Program (EVCIP): 50% of the purchase price of the charger up to $500 as well as up to $500 for 50% of the installation costs.